In 1948 the coastal steamer ran aground on Flinders Island during the years of the second world war while the light house on the Island was blacked out so the enemy would not know the whereabouts of the Island. Last year with the big winter seas the main boiler which had been in the same sport since the ship was wrecked, was wrenched from it’s resting place by the huge winter seas and lodged amongst other relics on the point off Bryant’s Bay. 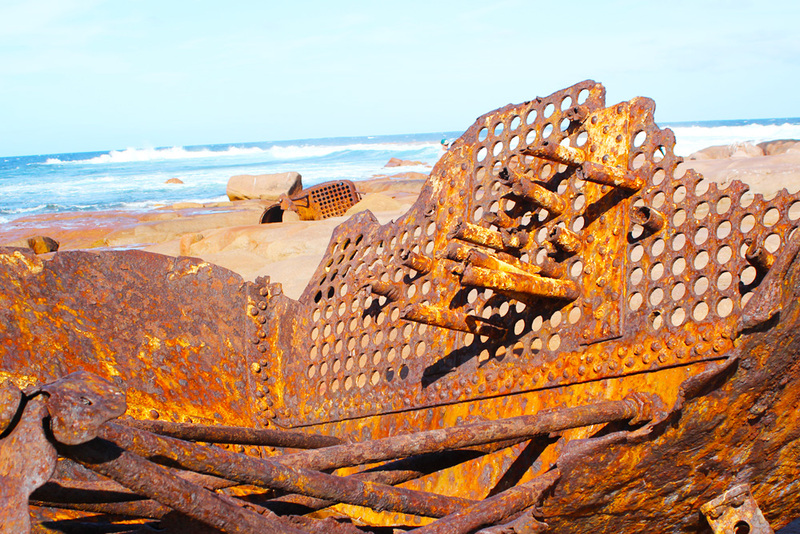 Here is another fishing wreck lodged on the western side of the island. Great fun to investigate.